Tranquility awaits you in this custom home with potential for expansion to a family or equestrian compound. The three part layout provides ample gathering places and private spaces for family and guests. Overlooking more than 19 secluded acres of woods and meadowland in West Tisbury, this custom-designed, post and beam home completed in 2006 offers peace and privacy inside and out. 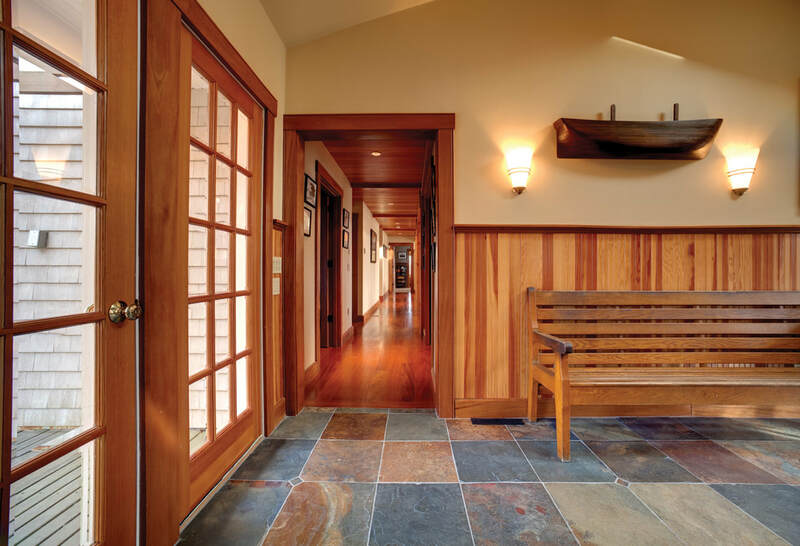 The tiled entrance foyer leads directly through French doors to the expansive south-facing deck overlooking the meadow. 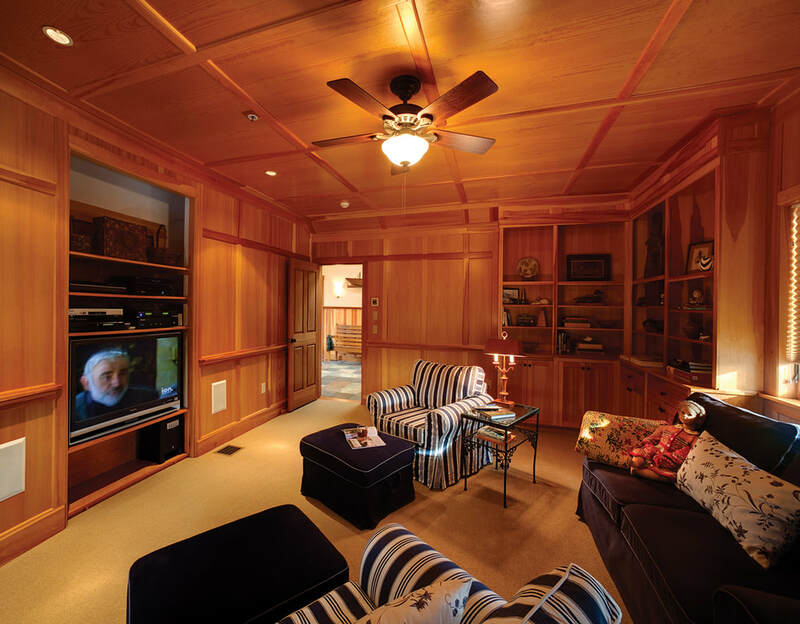 To the right is a custom-crafted paneled media room with built-in cabinets and bookcases. Next to it is a guest bedroom with private bath. In the center of the home, the gourmet kitchen opens onto the great room and is set up for entertaining with professional appliances including a six burner Wolfe Range with grill, double ovens, warming shelf, and warming lights, 2 dishwashers, and 2 sinks. 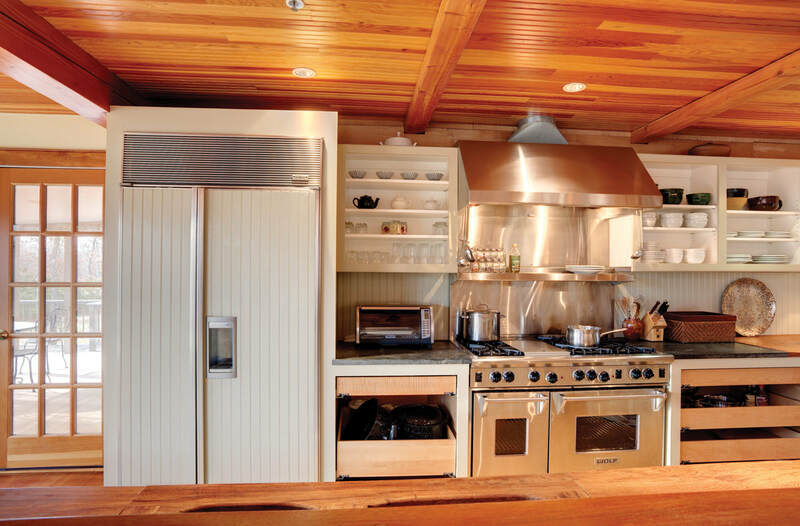 The counters are custom made from Yellow Heart and Brazilian soapstone and provide plenty of room to work. There is a sustainably-harvested cork floor for comfort. A breakfast room and a large walk-in pantry with ample storage are adjacent to the kitchen. The kitchen can be partitioned from living area if desired. 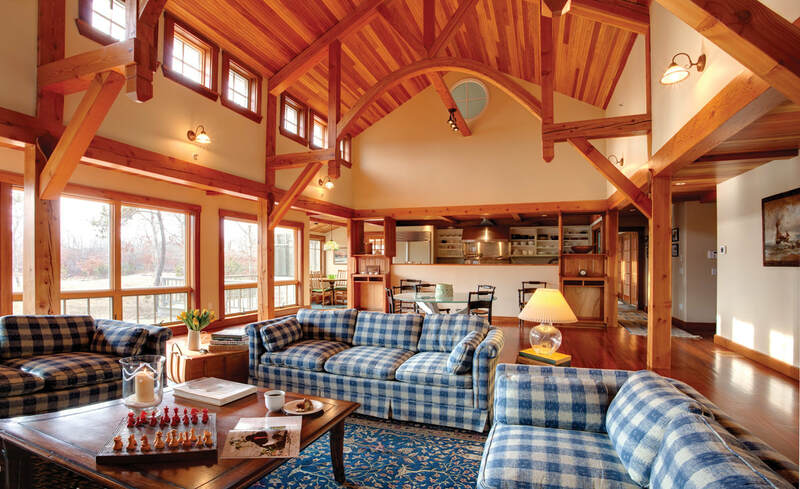 The great room features a soaring cathedral ceiling and large woodburning fireplace. “I looked at church ceilings around the island to be sure I got the appropriate ceiling height,” the owner said. Floor to ceiling windows bring the outdoors in and provide a view of the rolling meadow. A brick-floored sunroom provides a transition between the great room and the master suite. The floor is made of antique brick recycled from old industrial buildings in Chicago. The sunroom has French doors and a private deck overlooking the meadow. The master suite has hardwood floors, cathedral ceiling, a walk-in closet and luxurious bathroom with a double vanity and steam shower. An outdoor hot tub is built into the outside deck just off the master suite. The master bath is tiled throughout and has a concrete countertop and sinks custom-made on Cape Cod. A laundry room, office, and powder room round out the first floor. On the second floor there is a guest suite with, bedroom, study and bathroom, and private bath. There is a second bedroom with private bathroom on the second floor as well. The spacious south-facing basement has above-grade windows with lots of natural light making it ideal for workshop or studio space. A section of the basement is plumbed for a future apartment with a separate walk-in entrance. There is an attached 3-car garage. The house is designed to be passive solar; sun will warm the house in the winter but not in the summer time. The floors are made of Yellow Heart and the interior doors and trim are made of Wanna. The exterior decking is made of Brown Heart. ​ There is access to a community swimming pool, tennis courts, and West Tisbury beaches. Come make this house your home!